Ryan Cleven: It really started with our Escalation reveal at the Gears eSports Season 2 Finals. Prior to the match, we held a real-time feedback session with the 10 participating pro players to ask what they felt they needed for Gears of War 4 to shine in a professional environment. We tuned weapons with them late into the night, and it provided us a lot of insight into what we need to do to really deliver on a high-end team-based competitive experience. We took what worked from the playtest and refined it further back at the Coalition. We brought a second set of 10 pros up to the studio to try it out, and the response was great. However, we found that what the serious competitive players wanted and what the core Gears players wanted were too different to try to make a single tuning set. Rather than trying to please everyone and end up pleasing no one, we decided that we would split the tuning into two sets, Core and Competitive. We want Gears fans to be able to play the game that we all know and love while simultaneously ensuring we provide a Competitive experience that can stand up to coordinated team based play at the highest level. This way, we hope Gears fans will be happy in being able to choose the experience they want to play, and really hone their abilities in an environment that takes more than just individual skill to excel in. Players can move between the tuning sets and their skills will still transfer between the two. The less lethal Competitive Settings mean landing consistent shots, making smart decisions and coordinating as a team become more important, but the fundamentals of the game are still the same. This approach also provides a clear step of progression for players looking to take their skills to the next level. Octus: The Gnasher is always a big talking point in the community. What did you modify following the Beta? 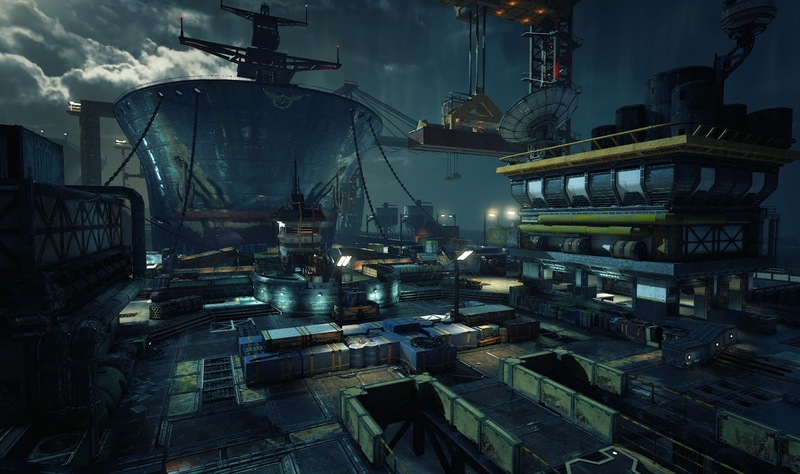 Ryan Cleven: Gears is balanced around the power of the Gnasher, and we feel like the Gears 4 version gets a lot of its consistency from the current damage tuning. We heard fans about the power it deals over distance, and how that impacts moving into a fight, so for Core we’ve toned down the range slightly to keep it within its expected damage at distance. For the Competitive tuning, it’s a much different story. We’ve brought the effective range in much further to allow the classic Gears Gnasher dance to breath more. Octus: What other key changes have been made to weapon tuning since Beta? Ryan Cleven: To highlight some of the bigger changes – the Hammerburst has been changed to be a 3 shot burst weapon (down from 6) and can now beat a Lancer at long range, but requires a patient head at mid-range to have any chance against a Lancer. The Dropshot explosion radius has been toned down to require more player accuracy, and we’ve added ‘team colors’ to the targeting laser to help you identify a friendly drill from an enemy drill. Based on feedback from our color blind fans, we’re happy to share that we've added new Color Blind accessibility options that also apply to the team colors for the targeting laser! There’s also been some changes to our grenades too. You can now only have one active Frag Grenade tagged to a wall, and the explosion has an increased delay – Frag Tags are now for catching opponents unawares or slowing their advance. An aware player with good reactions can now roll away before the tag goes off. We've also changed the way we treat Smokes since Beta. Smoke Grenades now emit smaller volumes of smoke for a shorter period of time. They’re still thick to help you push a position in combination with the stun, but teams wanting to make a big push on a fortified position will need to throw multiple smokes together to form an effective screen. We're still working every day to make further improvements to our tuning and balance to provide the best Gears of War Versus experience possible come release.